Beautiful shot with great contrasting colors. 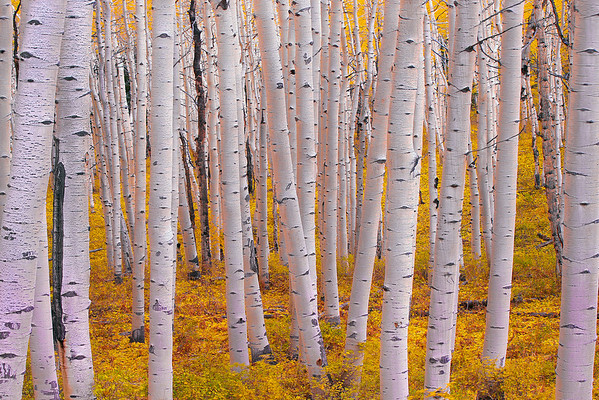 Love those aspens, and this is a wonderful view of them. The colors are fantastic, both in the turnks and the undergrowth. Gorgeous! Love the golden tones here, and the natural path your eye takes. Beautiful shapes and lighting in this, you caught a great time of year.